Going to the Chapel? Welcoming a new baby? Retiring? 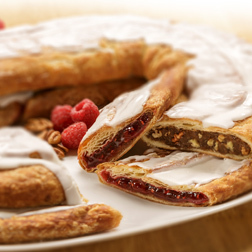 Give your guests the best with our new single serve Kringle favors! 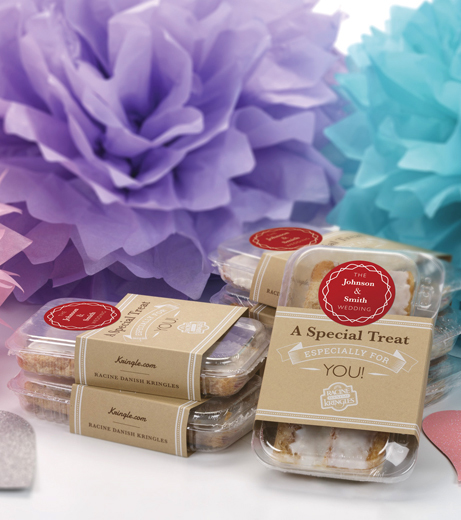 We can personalize each package with your name and special event date on a 2” label. Mininum order of 48 single serve Kringles. We can usually fulfill orders within one week. Please call for details at 800-432-6474 and place your order for the special event!